Rare Turn-Key Investment Property ! Two Full Self Contained Apartments ! Spectacular Home Has Been Completely Renovated From Top To Bottom ! New Kitchen, New Windows, New Hardwood Floors, New Appliances & More ! Fully Seperate Entrance To 2 Bed Basement Apartment With Shared Laundry Room ! Prime Neighbourhood With Everything Minutes Away ! Great Opportunity For Investor Or First Time Home Buyer ! Extras: Stainless Steel Fridge, Stove, Dishwasher, Washer & Dryer, Bsmt Fridge, Stove, Dishwasher, 1 Car Garage & Large Double Driveway ! 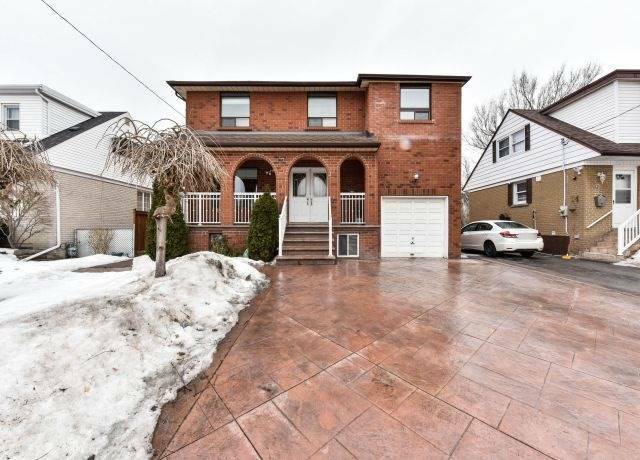 Newer Wooden Deck, Concrete Patio, Close To Schools, Shops, Minutes To Hwy 401 & 400, Ttc & Much More !